❤❤❤❤just try once…measure correctly and bake carefully believe me u will always bake this cupcakes ❤❤❤❤ . 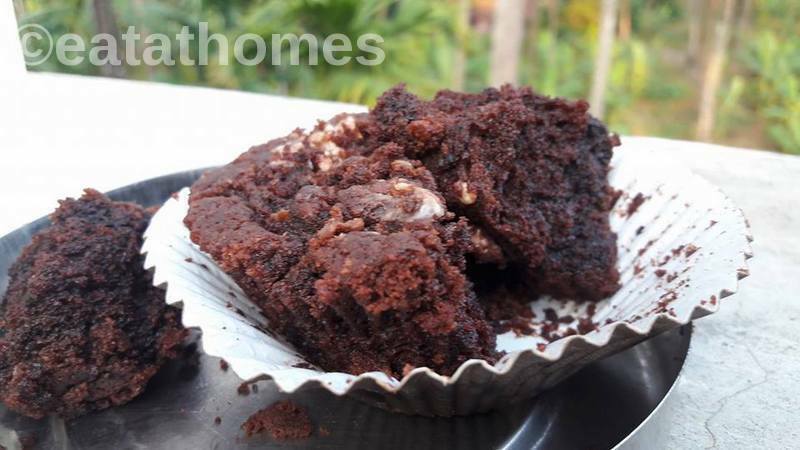 These Moist eggless Chocolate Muffins Recipe are made with ingredients available at home, no special buy’s . So its fuss free and there isn’t a single reason not to try it. All you have to do is put dry ingredients in one bowl and wet ingredients in another bowl , then just quick whip everything together and bake .. that’s about it. Add granulated sugar to milk and vinegar mixture and whip for 1 minute until the sugar is melted. Now add in oil . (sunflower oil), Whip the liquid ingredients until oil is completely blended well . Mix liquid in the dry ingredients – whip with a whipper or by a spatula or hand whip only till the batter is smooth and no lumps – do not over beat . 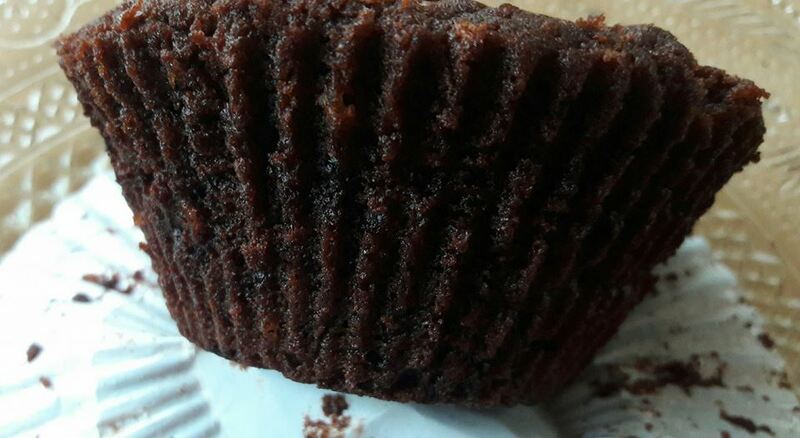 Bake in pre-heated oven for about 18-20 minutes or till toothpick inserted in center of cupcake will come out with few dry crumbs .For cake it’s 30-40 minutes. Don’t over bake otherwise it will become hard. 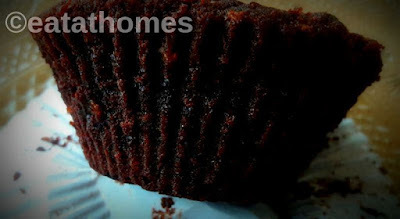 Remove it from oven and after 5 minutes remove cupcakes on wire rack and let them cool completely. we prefer without frosting . kids love as it is.. Please follow the given tips – for the best moist muffins. All ingredients including milk should be at room temperature. If milk is cold just microwave it until luke warm and then use. Use liquid measuring cup- they come with a spout to measure the liquids and dry cups for dry ingredients for best results . If sugar granules are big then pulse it in the blender after measuring. As there may be difference in flour quality – if you think the batter is too thick add no more than 3 tablespoon water – 1 tablespoon at a time. Use whipping attachment not beaters. Can be stored at room temperature unfrosted upto 3 days in a air tight container. 1 week in the fridge . More than a months in the freezer.